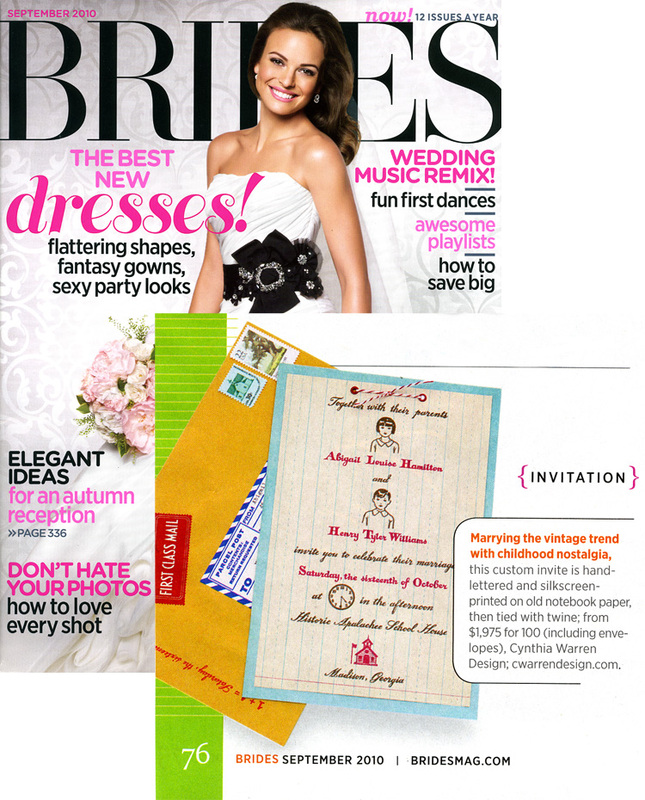 BRIDES magazine! 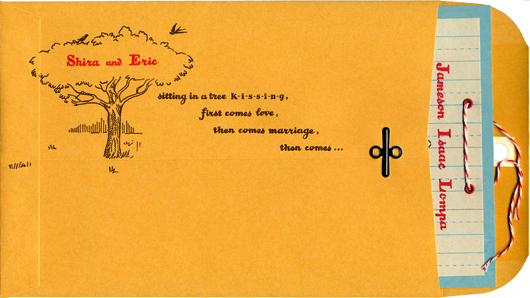 I had so much fun creating this youthful wedding invitation. I hand-lettered all of the text inspired by fonts I found in an old grammar book. 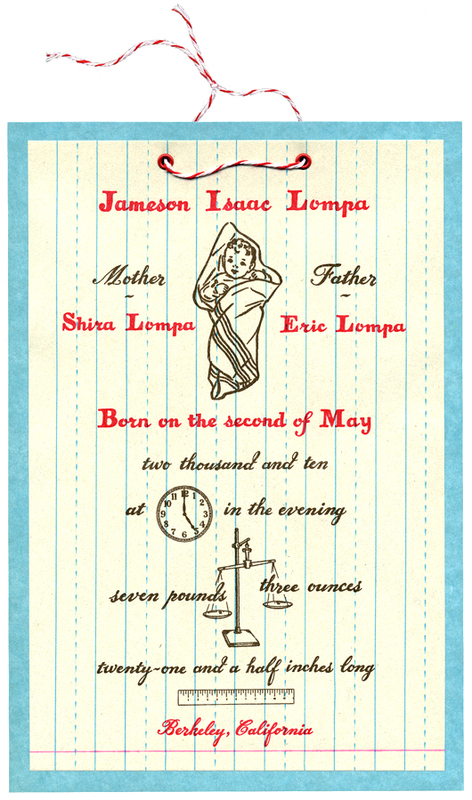 The illustrations too, are from or inspired by my collection of school books from the 40′s and 50′s. I silkscreen printed the invitation and envelope in red and brown ink, using vintage school paper, old file folders (blue card stock), and manila envelopes. I love how the file folder is the perfect complimentary blue to the ruled lines in the paper. I mounted the paper onto the card stock using grommets and adorned with red and white twine. 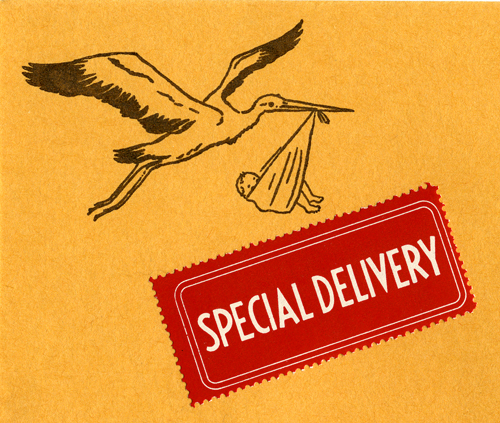 Here is the front of the manila envelope. 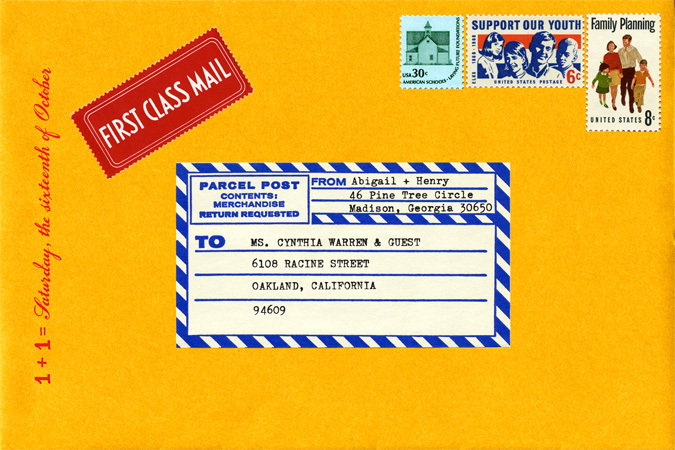 I am always a fan of hand-addressing envelopes but I thought using an old typewriter to address these was more appropriate and fun. a highly recommended field trip if you get a chance. 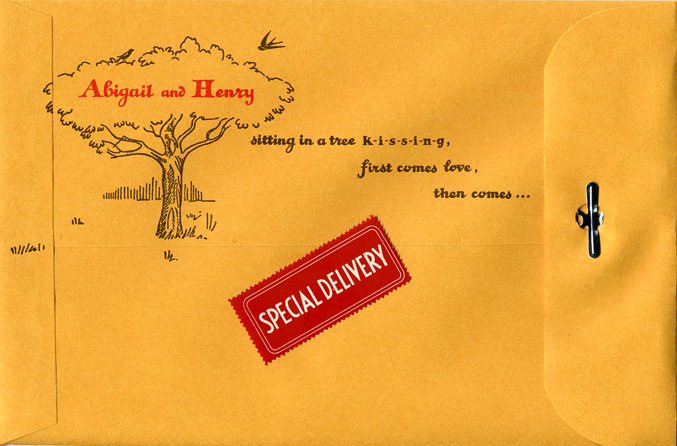 And here is the back of the envelope, which is a piece of art in itself. Inspired by the sweetness of “young love” I thought it would be fun to play with that old school song that we all know so well “… then comes marriage”! 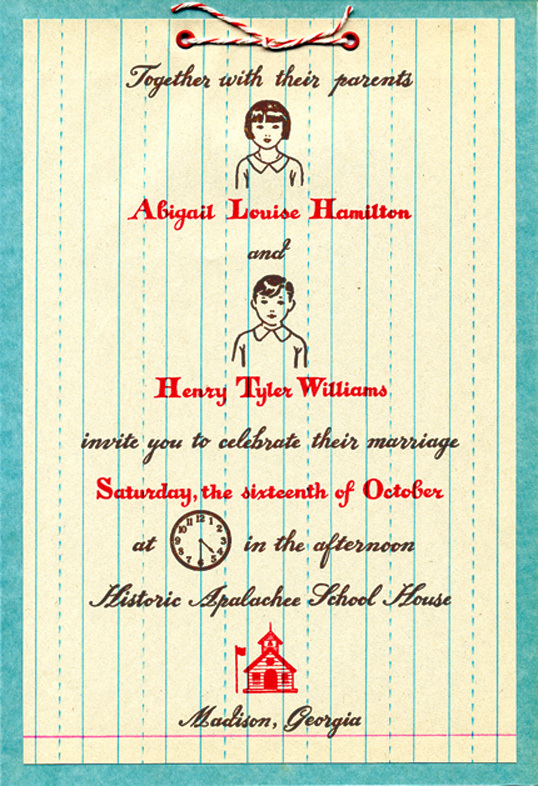 I think this “School Theme” invitation is so special and adds a nostalgic playfulness to a wedding celebration.